Though in the history of philosophy, Aristotle is well known for what he has to say about how to use rhetoric to move audiences, it is Plato's storytelling that is the best demonstration of this art. Plato’s masterful writing displays not merely a profound mastery of dialectic, but also a deep understanding of the power of story to move the audience. So why is story effective at moving audiences? Because our deepest assumptions and responses to the world already exist before we start reasoning, and our reasoning is usually influenced by them. Our deep set feelings, which get formed all the time in our everyday experience, cannot simply be abandoned when we decide to think theoretically. Consequentially we see that dialectic (i.e. arguments) tend not to change people’s deepest convictions, even when they are very compelling. To use an example from my own life, as a young adult I had heard compelling biblically-based arguments both for and against classifying homosexual acts as wrong. However, it was not arguments that eventually forced me to reconsider my views on this topic. Rather, it was the entrance into my life of some homosexual persons whom I still love very dearly. It was living beside these friends and sharing in their experiences which allowed me to take the issue seriously and empathize with the people at its heart, as I could not do when considering the subject abstractly. Yet, how can a rhetor relate to his or her audience if the audience members have not experienced the issue under discussion and don’t know anyone who has? How can a rhetor not just make an argument, but make an argument meaningful in that deep sense necessary to change people’s deepest convictions? By using story: it is through stories that we experience (vicariously) those things which are unavailable in our everyday lives. The character Jojen Reed, in George R. R. Martin’s Song of Ice and Fire series (or Game of Thrones, as the HBO adaptation is called) puts it nicely, saying: “A reader lives a thousand lives before he dies... the man who never reads lives only one” (George R. R. Martin, A Dance With Dragons). What I consider to be Orson Scott Card's opus, Speaker for the Dead, is a great contemporary example of story as rhetoric. Speaker for the Dead picks up with Ender as an adult trying to come to terms with guilt and responsibility, both for the violence done to other students in the battle school, and for the horrible genocide which humanity unleashed (and in which Ender played a major part) on the insectoid aliens during the events of Ender’s Game. In this novel, the issue of otherness is approached by asking the reader a number of questions: Are there such things as true aliens, that is to say, people or other beings with whom there is no common ground and with whom no meaningful communication is possible (called Varelse in the novel)? Could someone who has committed a horrible crime like genocide, even if they repent, ever form a relationship with, and be reconciled to, his/her victims (in this case, the aliens of Ender's Game)? How ought victims to respond to unprovoked violence? The fantastical aliens and machines of Speaker for the Dead give rise to some of the most provocative questions about otherness. However, it is by way of the reader's relationship to the human characters of Speaker for the Dead that Card (rather sneakily I must say) brings his readers to an understanding of, and reconciliation to, otherness. In the beginning of the story we are introduced to, and quickly come to hate (or at least I did) two characters: a selfish, self righteous, and obstinate scientist on the one hand, and a fanatical, unsympathetic, religious zealot on the other. At the beginning of this story these two seem hellbent on tearing their community to pieces. They could not be less appealing. By the end of the story, however, the reader comes to see the personal trauma and the misguided love which has driven these two into conflict, and the reader is left feeling compassion for these two lost souls, rather than hatred. This does not mean the reader comes to approve of what these characters have done in the story. Rather the thesis seems to be that there are no such things as Varelse: there will always be a way to understand and find value in other people, even if we don't agree with them. For me, the experience of reading this book was more influential in changing the way I view those who (to me) hold abhorrent views than any purely logical argument. So what does this say about the current scandal and debate surrounding the Ender’s Game movie? On the one hand, those protesting Card could question whether he is living up to the sense of openness he himself champions in Speaker for the Dead. On the other hand, we must consider what exactly the “Skip Ender's Game” crowd is protesting. Surely it is not the content of Ender's Game which, in its novel form, held not even the slightest hint or suggestion of sexual attraction. (As I said earlier, not only does the novel not address romance, the characters are all prepubescent.) Thus it seems safe to assume that these protestors are not objecting to the content of the movie. No, the object of their protest can only be Card’s personal views on gay marriage and homosexuality. I've mentioned Card makes a passionate case that people are more than their worst characteristics in Speaker for the Dead. Thus I believe that to decide Card’s work, and Card as a person, have nothing to offer based only on his views regarding homosexuals or gay marriage is as problematic as judging anyone else, in their entirety, because of one of their beliefs (be it about religion, philosophy, class, or politics). Just as I think it would be a mistake to dismiss all of Martin Luther King Jr.’s good work because he (supposedly?) had extramarital affairs (though I think such behaviour wrong and hurtful), I likewise think it would be a mistake to boycott everything associated with Orson Scott Card on the basis of his views on homosexuality. Rather, I plan to approach Card's work (including Ender's Game) the same way I try to approach all books and movies: not passively, but prepared to think critically about the work’s message, as well as the vision of the world it presents. Stefan Knibbe is a Junior Member at the Institute for Christian Studies, focusing his philosophical studies on history, religion, and politics. See Card’s response to the "Skip Ender's Game" protest here. I enjoyed your article, and I absolutely agree. I've been a big fan of Card's book for a while now, and nowhere in the books is there anything to remotely suggest hatred towards homosexuals (with exception to the extremely derogatory term used to describe the now-called "Formics" in the later books and movie). An overall sense of unity is a main motif throughout the Ender's Quartet, shown by the relationships between the children of many different races (the byproduct of humanity abolishing religion to unite as one human race during the Formic Wars), the compassion Ender feels for the Formics after he almost destroys their entire species, and the struggles as more species are discovered, and subsequently threatened. There is such a rich texture to the themes in Card's work, and I feel exactly as you do. As to the religion thing, I don't think this would be the proper venue to argue whether religion (as a whole) has historically helped or hindered race relations. As far as Card's own views go however, I think its fairly evident from his works that he does at least believe religion *could* help to 'bring the nations together'. Though I am not quite finished the series yet, Card's alternate history of colonial America, portrayed in his "Tales of Alvin Maker" series, is both heavily multicultural and totally steeped in religious eschatological imagery. His vision of America has the Dutch, French, Spanish, German and Portuguese colonists, along with various native groups (Iroquois, Dakota, Sioux, to name a few), not being amalgamated (melting-pot style) into English-ness, but instead, united in the Crystal City. This Crystal city sounds so much like the (multi-peopled) New Jerusalem as depicted in Revelations and Isiah, that I cannot help but think it is an allusion. Alvin Maker himself also appears to be a kind of pseudo Mormon profit (though I know a lot less about Mormonism that perhaps I should, so I cannot speak definitively). 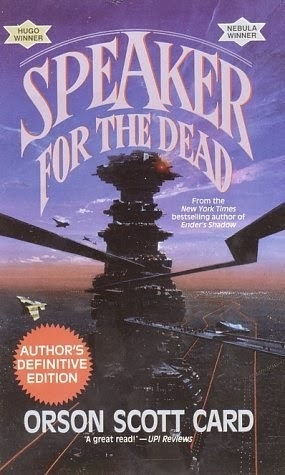 Alvin Maker aside, Speaker for the Dead, Xenocide, and Children of the Mind (the other three books I believed you were referring to by "the Ender's Quartet") involve some very positive depictions of Catholicism, eastern religions and philosophies, as well as Ender's own humanist religion of the speakers! Thus, I cannot agree that the multicultural relationships of the Ender's saga stem from the end of religion. Rather I would attribute them to the honesty and loving nature of his characters (like Alia, who uses his religious language of salaam to express his deep affection for Ender). Thank you Stefan and MVR; you make a good case for not boycotting the movie, and for the good to be had from engaging with Card's work that isn't directly about his views on homosexuality. Nevertheless, I am still boycotting the movie, and while I think to boycott or not to boycott is a choice each person must make on their own, I'll explain my reasons. I think there are basically two kinds of boycotts; shunning something due to its content (say, a movie or book that actively advocated hatred or was itself homophobic, etc) and shunning something that in and of itself is perfectly fine, but whose proceeds support the advocacy of something you feel should be boycotted. 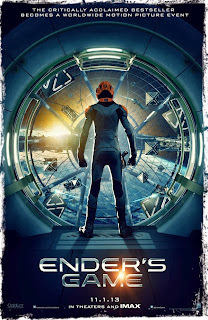 It is the latter reason that I am not going to see Ender's Game. To be clear, I am not saying that we should never read his books or ever watch the movie. 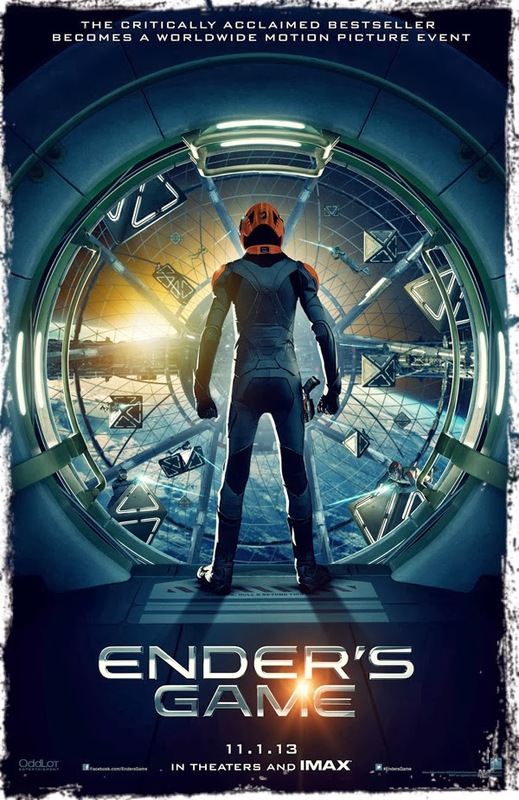 Enders Game (the book) has been near the top of my "read next" list for a while now, and from all that I have heard of it, it is worth a read. I still plan on reading it. I didn't buy my copy of the book, however--it's an old one a friend of mine has had for years, and I have it on loan. And therein lies my point. The movie industry is big bucks these days, and they are banking on geek culture to come out in full force for this film. This, then, is a teachable moment. A whole lot of money has been put into the making of this particular film, and if enough people say "not going to go because the money I give it will go to someone who supports anti-gay work" then the movie will lose money. Better yet, it will be crystal clear that the reason the movie lost money (assuming the boycott is big enough) is precisely because enough people are no longer willing to allow their money to support homophobia. I don't think Card will change his views, but it's not his views specifically that I'm hoping to change. What I'm hoping for is that the movie industry will see that homophobic views are no longer acceptable to their viewing public, and if they want to make a film that makes a lot of money, they will have to be more careful about what that money is going to go to support. Even if the boycott only runs for a month and messes up the box office numbers, they will get the point. Card has made no bones about his homophobic views. In that money talks, I'm going to make no bones about not giving him any of my money. He may never change--but others watching this situation may learn that if they want to have a good career as an author or film maker, advocating anti-gay views is not acceptable. That said, I totally agree that one must decide for oneself how to respond in such instances, and your responce is definitly a valid one. Moreover I am impressed that you actually utilized your rights as a consumer to try to make a difference (as a Christian I pretty consistently fail to look into what I am tacitly supporting when I spend my money). No problem, Stefan! And I do think that you make a pretty strong case for seeing the movie. Also, it seems you are right that Card won't make money directly off the movie, ( see http://sciencefiction.com/2013/11/02/orson-scott-card-wont-make-money-enders-game-movie/) making me feel a little better about it, but my point still stands on principle. And, as the author in the post above mentions, the movie is driving up new sales of Card's books, for which he definitely receives profits. If it is true that he won't receive *any* (more) money for the movie, I feel a little better about people seeing it. Still don't think I will, but this whole issue is raising some good discussion, I think. The fact that the studio releasing the movie (Lionsgate) has apparently agreed to donate the proceeds from the opening night premier event to LGBTQ charities, as reported in the link above, is a positive step. I don't know what exactly Card has said against homosexuality, but I bet many boycotters would be interested to read his novel 'Songmaster', which includes two male characters that have a tender, loving homosexual relationship. Given that, it seems to me that Card is not motivated by hatred or ignorance. The secular left, despite espousing moral relativity, can't seem to handle disagreeing viewpoints on homosexuality-- though I understand why: because they perceive it coming from a place of oppression rather than love and concern for well-being (and it does come from oppression in some cases, terribly). On a somewhat related note, I encourage you to Google Dr John Patrick-- he has a website and some interesting points on moral relativity, and many other hot topics these days.